The Guess What! 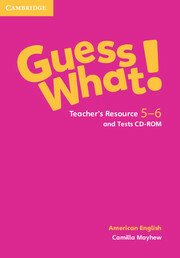 Teacher's Resource and Tests CD-ROM for Levels 5 and 6 provides inspiration for extra practice as well as tools to evaluate learners' progress. Extra worksheets (three pages per unit) provide reinforcement activities for the core vocabulary and grammar structures of each unit. The Test CD-ROM contains: nine Unit tests and four Review tests which cover the core vocabulary and grammar structures, as well as skills. 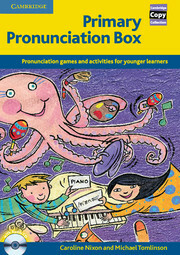 60+ fun-filled photocopiable activities including rhymes, chants, poems, puzzles and games.